The days after a fire are a chaotic, confusing time and it seems like everything needs to be done at once. People are coming at you from all sides, asking for information or wanting to know when things will be back to normal. The first steps you take can mean the difference between a fast recovery from a disaster and chaos caused by more extensive damage. You will not only have to call a professional to restore the damage after the fire, but also begin the claims process with your insurance provider. Smoke damage refers to any damage caused by the burning of materials including physical staining and corrosion as well as odors. When common building materials are burned such as wood, drywall, plastics, and fabrics, they produce different corrosive residues that can damage the materials and odors that will permeate throughout the home. Synthetic materials create a black, oily residue when burned while paper-based materials produce a powdery residue when burned. Smoke residue can cause serious damage to the affected surfaces and needs to be cleaned up quickly to avoid permanent damage. It takes a professional with the right cleaning products and methods to remove the different types of smoke damage from various materials. Follow these tips to make filing smoke damage insurance claims easier on yourself. Call your home or business insurance provider as soon as everyone is safe. 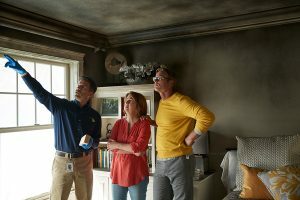 These agents deal with the aftermath of fires on a daily basis, so they can calmly guide you through this difficult time and help you remember things that must be done to avoid hassles later. Look over your policy coverage. If yours was lost in the fire, your agent can get you another copy. This will explain deductibles, coverage, deadlines for filing claims, and other important information that you really need to know. All correspondence between you and your insurance company. 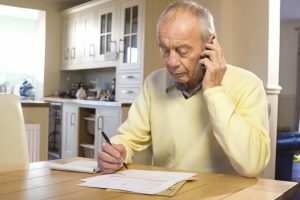 Keep in regular contact with your agent and double check things like filing deadlines, procedures, and other claim requirements. It would be heartbreaking to have your claim denied because you missed filing your claim by one day or didn’t have enough estimates. It’s important to stay calm when working with agents, adjustors, and contractors for estimates. It’s a frustrating time, especially if you have children or clients who are constantly asking when things are going to get back to normal. Right now, this is the most important issue in your life, but they have many other clients who are saying the exact same thing. Running yourself down will add to feeling tense and frustrated. Be sure to make time for regular self-care, like exercise, sleep, real meals, and entertainment that will take your mind off things for a while. Having a meltdown won’t make things happen any faster and might even delay them. 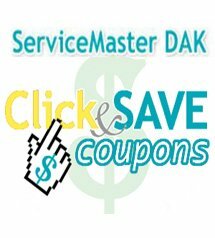 If you need fire and smoke damage restoration services in the North Shore and Northwest Chicago, IL suburbs, you can rely on ServiceMaster DAK to handle any kind of emergency. We’re on call 24 hours a day, 7 days a week because we know time is critical when it comes to salvaging items damaged by soot, smoke, water, and other toxins from fires. The technicians on our crews use state of the art equipment and techniques to restore and repair even the most hopeless looking items before the damage can become permanent. Our fire damage restoration team will protect your property from further damage until permanent repairs can be made, and we’ll even arrange for temporary heat and power to keep a refrigerator, freezer, lights, or a furnace going when you need them. 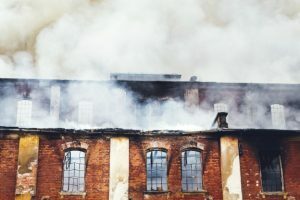 Fire and smoke damage restoration costs vary, depending on the extent of the damage and the number of items that need to be restored.